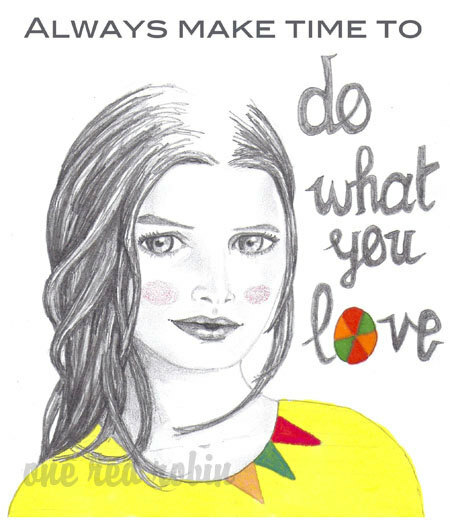 I have been following Jhoanna Monte Aranez's blog One Red Robin for many years and have watched her transform from softie queen into illustrator extraordinaire in recent times. I am impressed and awed by her ability to reinvent her creative self amid the demands of full-time work and motherhood (not to mention a move from Melbourne to Hong Kong). Her softies were quite extraordinary (and I feel super lucky to own one) and her recent illustrations are reminiscent of her softie style. Most recently she has been featured in a new book which I'm very keen to get my hands on, Hand in Hand: Crafting with Kids. Oh, and did I mention she's a runner? Incredible. She is also one of the loveliest people in blogland and I'm thrilled to feature her interview here today. Welcome Jhoanna! I’m a wife to a true ‘Mr Gadget’ and Mum to two girls who provide me with endless inspiration and joy. By day I work as a Business Analyst in the Information Technology industry and by night I create – previously softies and dolls, but now illustrations and drawings. I love to see ideas turned into tangible creations and I love the process of creating. I’ve been blessed by many opportunities that have come to me through my blog including involvement in a number of softie exhibitions overseas; two solo shows of my work in Melbourne; projects published in a number of craft magazines and books; my own range of softie sewing patterns through Pattern Press, and collaborative work with Australian fashion stores like Sportsgirl and Gorman Clothing. From as far back as I can remember, I was happiest if I was creating something – whether some kind of craft or a drawing. 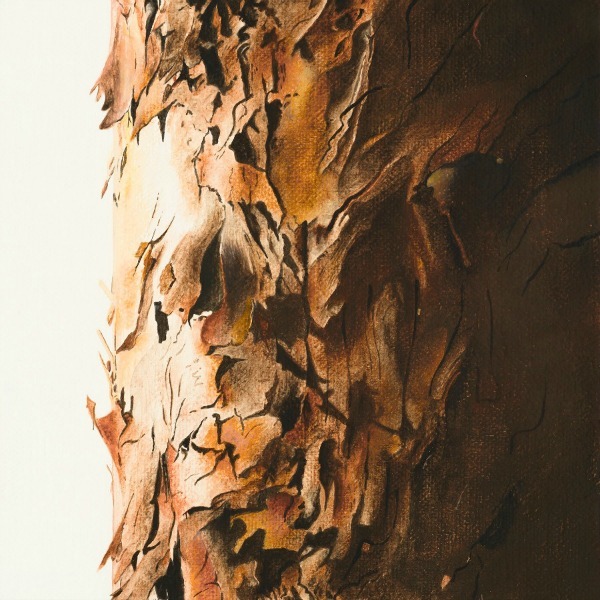 I loved working with my hands – the process of imagining something and then figuring out how to make it ‘real’. I remember rushing through my homework as a child just so I could get more time to make stuff, to make pretend inventions from knick-knacks and draw pretend families and cities and maps for stories I had written. Being creative in this way was always something that came naturally and brought me the most joy, so it’s stuck with me throughout the rest of my life. When I started sewing, it was just another way of turning something imagined on a piece of paper into something that was tangible. You used to make softies and are now creating illustrations. Are these illustrations an extension of your softie designs or do you see this as a new creative direction? And what made you decide to concentrate currently on illustration? The transition to illustrations was not intentional! 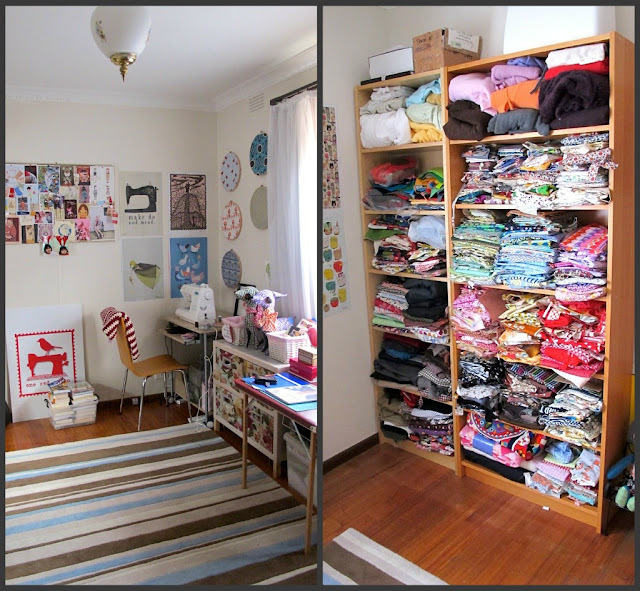 When I lived in Melbourne, I had the luxury of having one whole room dedicated as my craft room. It housed my sewing machine and shelves of fabric, and all the extras that come with sewing softies and dolls. I loved that room! Since moving to Hong Kong where real estate is scarce and apartments are tiny, practically speaking I just don’t have room for a sewing machine, nor shelves of fabric. I’ve also taken up a new job here in Hong Kong, which sees me working longer hours than I did back in Melbourne. These factors taken together mean that I haven’t been able to sew. At first it drove me crazy but then I found out about the Sketchbook Project and I joined in. And in some ways, it forced to take some time out and just draw. And then I realised how much I missed drawing and fell in love with it again. And the great thing is that all I need is a sketchbook, pencils and markers and I’m set! And it’s so portable. I can see that the characters I draw are another iteration of the characters I designed as softies and dolls, they have a familiar look and style. 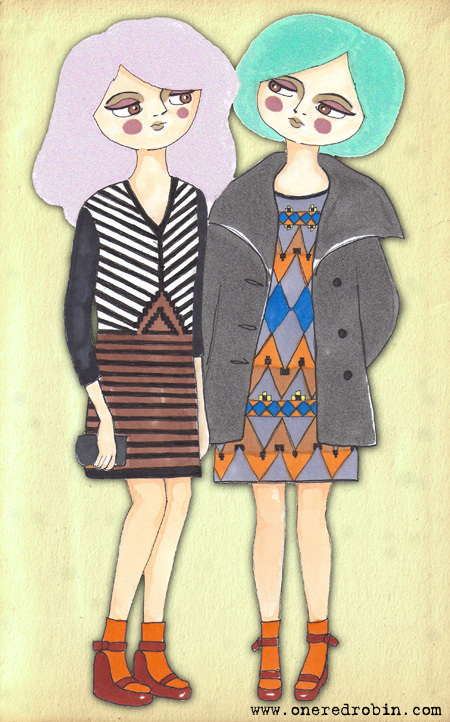 For now I believe illustrating is what I’ll be concentrating on. I’d love to get back into sewing again but that would only happen if we moved to a larger apartment and my work hours decreased! Could you describe a typical day? How do you balance your day job, parenting, your creative work and training for runs? Mornings are a mad rush as any parent could attest to! The girls take the bus to school and my husband and I jump on the train at 7:30am. We get home between 7pm-8pm (or maybe later if we have meetings to attend), and we spend time with the girls helping them with homework and getting them ready for the next day. Needless to say, weekdays are generally hectic and exhausting! 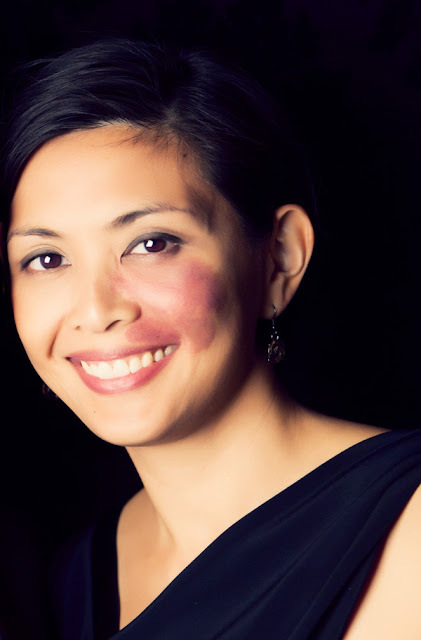 Thankfully, Hong Kong has a great system where they allow you to hire Domestic Helpers. We have a Helper who is a Godsend and the girls love her. It’s so comforting to know that she is there looking after the girls when we’re at work. After the girls go to bed, I either go for a short run with hubby or I spend a few hours drawing. Saturday mornings are when hubby and I go for our longer runs. Nothing clears the mind and helps usher in new ideas like a long run! Running has been so beneficial for me – not just in terms of helping me keep healthy but also keeping my mind fresh and active. The rest of the weekend is all about spending time together as a family, and in Hong Kong, eating! Do you have any routines or rituals you perform before you start working on something new? How do you motivate yourself? Two things: a hot glass of green tea and chocolate! Also, I treat the time that I get to focus on drawing and exploring new ideas as a reward, meaning I work on crossing everything off my to-do list for that day and then when I have done that, I work on my drawings. It really helps as I find I can fully focus on what I’m working on and not get distracted by all the things for that day that are ‘yet-to-be-done’. At the moment, a sturdy sketchbook with quality watercolour paper, pencils and Copic markers. Also, chocolate. Take a break. Close the sketchbook. Go for a run. Play some games with the girls. Watch a funny movie. Catch up with friends. Eat good food. I find that if I have a creative block, my mind needs some refreshment. I found this with making softies/dolls too – I would have a number of unfinished softies in my craft room (missing eyes, or limbs, or unfinished outfits) that I would leave untouched for a few days and then I would come back to them. Some would be completed and some would be recycled and I would start again. As much as possible, I try not to treat my creative projects like the projects I have at work where I have deadlines and set, structured ways of doing things. I like to give my creative projects more time, let them wander around in my mind for a while and let them complete organically. For me, this is where most of the joy of creating comes from. Thanks so much for joining us today, Jhoanna. I am such a fan of your work so I'm absolutely thrilled to be able to share this interview. You are an inspiration! Jhoanna's One Red Robin blog. 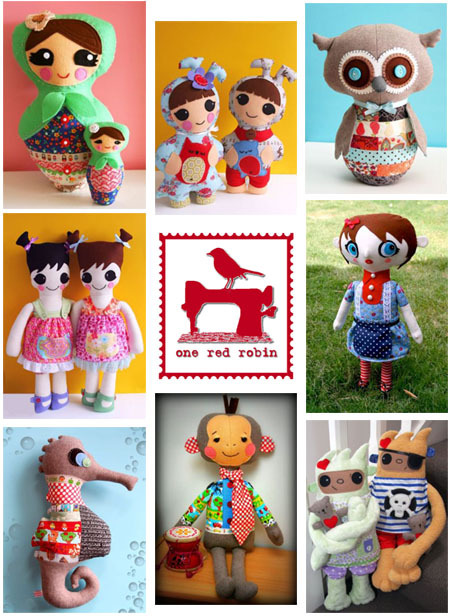 One Red Robin Etsy shop. 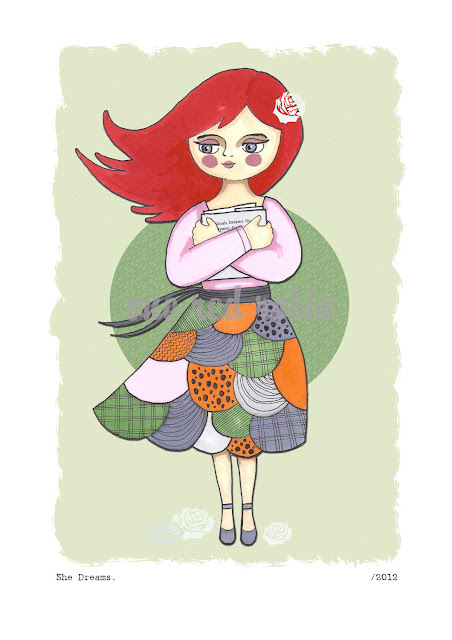 Johanna's fabric designs on Spoonflower. Johanna's softie patterns on Pattern Press.